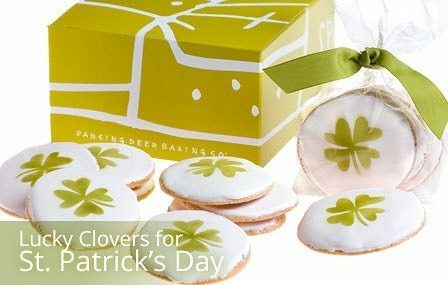 Lucky Clovers Cookies for St. Patrick's Day Only $19.99! You are here: Home / Great Deals / Lucky Clovers Cookies for St. Patrick’s Day Only $19.99! Lucky Clovers Cookies for St. Patrick’s Day Only $19.99! St. Patrick’s Day is just a couple of weeks away – need some luck to get through this winter? Enjoy some of these Lucky Clovers Cookies for St. Patrick’s Day for Only $19.99 with a little with some green tea and you should be well on the way to warming up!